During the winter of 2016, after twenty years of healing and awakening on my spiritual journey, I decided to embark on a 40-day journey to free myself from a deep-rooted struggle and inner war going on within myself about my body image and food. I experienced peace and joy in so many other areas of my life; my relationships, my work, my purpose and even my finances, but I was constantly haunted by my daily thoughts focused on my obsession around my body, food and comparing myself to others. I realized that if we have 60,000 thoughts drifting through our minds daily, then 40,000 of my thoughts were focused on this repetitive, unhealthy inner dialogue and I declared, with exhaustion, that I was done! I wanted to be freed once and for all. As a spiritual being who is passionate about using the power of angels, spirit guides and the divine, I knew what I needed to do. I had to commit and go within and draw forth my answers. Many ancient spiritual texts describe a 40-day process as a period of time to prepare for a higher spiritual endeavor or a necessary time to make or break a habit for everlasting change. I knew after all these years of healing and transformation that if I wanted to change a pattern that goes way back, I needed to heal from within, get in touch with my beliefs, my thoughts and my feelings, both conscious and subconscious, and call in the support, grace and wisdom of the divine. So, I wrote, prayed and meditated for 40 days straight. Allowing myself to be free to write from the depths of my being, safely knowing, that no one would read my words, thoughts or feelings, I was able to be raw, real and vulnerable on every level. No more hiding or denying or pretending – it was time to explore, to be open and to trust I could handle whatever came to the surface. This “being real and honest” permitted my authentic self to emerge and as this true self came to light, I was shown a path to deep healing and transformation. I dialoged with my soul about my body and food for days, as the truth of my inner turmoil and past experiences created a story of who I became and who I thought myself to be. On Day 14, my journey took an unexpected turn and my prayers and vulnerability started to unveil the root cause and the True Healing that needed to take place so I could finally be free and at peace. The earthly me thought my struggle was with my body and food, but the root cause of my suffering and confusion was revealed to me. As the truth surfaced, a divine miracle occurred. I was graced with divine support and guidance and my prayer for peace was being answered. What unfolded during this journey was beyond anything I could have ever imagined. I completed the 40-Day journey on January 15th, 2016. I look back now and realize that this journey birthed an inner healing and awakening in me that eventually rippled into a transformation of my mind, body and spirit over the following six months. I felt completely different about my body and food and I felt liberated from my past tortures and obsessions. I had entered a state of flow in my life I trusted and felt one with. I have shared these journeys with a few of my soul friends who have struggled with their own forms of obsessions and dis-ease; aging, too thin, too heavy, illness, disabilities, and some had no perceived physical flaws but their inner dialog and their perception about themselves was in conflict and therefore they were not at peace. And even though they each had their own unique struggles and past history, they all experienced the 40 day journey, dialogued with the divine, and committed to the journey, and they each received exactly what they needed for their own healing and transformation. During this past year, I have authored two additional 40-Day Journeys. 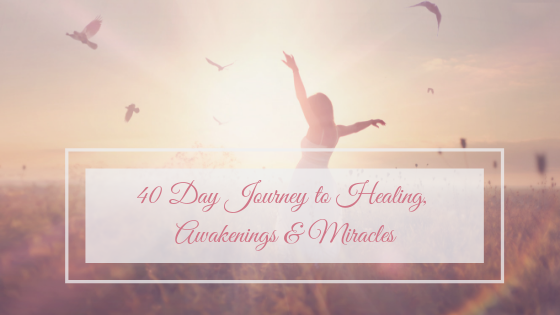 Today, thousands of my clients, friends and family members have experienced the power of committing to this 40-day process to initiate healing, deep understanding and lasting miracles. Although I wrote this journey originally for myself as a divine prayer to guide me through my own inner darkness back to the light, it’s time to share this journey with you and to all who are called. I invite you to take a 40 day journey so you can awaken and re-discover the peace, freedom and joy that are already within you and return home to the magnificence of your being. A willingness to share your naked, exposed truth will reveal a path to profound healing, awakening, and a deeper understanding of how magnificent you truly are. I have been doing spiritual growth work for the past 20 years and I must say your authenticity and commitment to your work is the “real deal”. I have been meaning to write to you for almost a year now. I had an “Angel Reading” at my home in Plymouth a few years ago. You thought I had a child, and when I said no you asked if I lost or miscarried a child and I assured you that no, that was not the case. You said there was a very strong baby girl presence in the house and she was very happy and laughing a lot. Well, I think you were right and she was there, but we just hadn’t met her yet! We were blessed with Anna in June 2006 and she is exactly as you described, full of life, laughing, happy baby girl! Thank you for letting me know she was there!! That really did play a role in my decision to have a child, although I was admittedly more than a bit skeptical. Now, I am a believer! Thank you again! I just finished! WOW! I have learned decades of life lessons in the last 2 months. Although my beginning goals were good, how limiting! In this last 40 days I was an emerging butterfly with all of you. We supported each other through Facebook posts and I felt the power of Karen’s love expressed in amazing transformative teachings as she shared her wisdom and pain, healing from love and gratitude. I learned much about my own fears of rejection, self-criticism and how simple it is to fly once we let go of everything that is not from love and gratitude. Karen, thank you for your gift to me of a life, better than I know I could ever imagine. There really just aren’t enough words to express my feelings about this weekend. There was such a transformation in myself and I could feel it in everyone else as well. My husband and I were just so blessed to be able to experience it together. Thank you! The 40-day Journey, “What Would Love Do?” came in to my life at a time when I really needed it! I’ve been struggling with career change, relationship issues, 3 children who have grown into young adults sometimes struggling to find their way, loneliness, and the need to be myself yet fulfill the needs of others. And then we started the 40-day Journey! The messages and Blessings that Karen has shared and communicated to us have helped me find my spiritual center amid the turmoil. As others may have experienced, each message seemed to come at just the right time. I couldn’t wait to read each message because it means hope. The issues of my life still surround me but now I feel centered in my heart, choosing to radiate in the light of Love, asking Light to shine into any darkness. And when I ask, “What would Love do?” I feel the presence of all those who have guided us and accompanied us on the 40-day Journey. 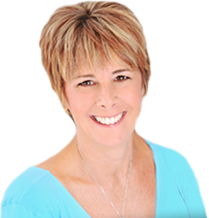 Karen Paolino’s Angel Messenger Class is a deeply moving and life changing experience. Karen skillfully and sensitively guides her students to new levels of awareness, and encourages them to discover and strengthen their bonds with beings in other realms. She helps her students and clients manifest their own life goals, ‘better than you can possibly imagine.’ She is a wonderful teacher and a blessed being. I feel privileged to know her and study with her. The Everything Guide to Angels is “everything” you ever needed or wanted to know. Karen’s done a remarkable job making what can be a difficult [and sometimes uncomfortable] subject accessible to anyone. If sceptics can suspend their disbelief for just a bit, they’ll find themselves fully engaged, and asking, “What if….? The book gives you a simple, easy way to tap into some really positive energies. It’s one of a very few nightstand books for me; re-reading a bit of it before going to sleep is a great way to end the day and start the night. One dozes off in a wonderfully peaceful state of being.